We have been manufacturing, exporting and supplying Flexible Packaging Films Slitter Rewinder Machine and many more like, Stretch Film, LDPE Film, BOPP Film, BOPP Tape, OPP Film, CPP Film, METPET, Pet Film, Extra Clear Film, Coated Films, Matt film, Coated Matt Film, Electrical Grade, Yarn grade, Hot Stamping Grade, Lidding Film, Yarn coated films, Metallizing grade, Release film, Audio Tape grade, Direct Embossable Film, Easy stackable Film, Silicon Coatable film, Heat Sealable Polyester Film, Deep Freeze Film, Metallizable Sandwich Lamination Film, High Barrier Metalized BOPP Film, Chemical Metallized Polyester Film, Textile Bags Film, Metallized Film, Metallized BOPP Film, Metallized Polyester Film, Matt Film, Over Wrap Film, Sealable Film, Grade Film, Inner Wrap Film, Broad Sealing Film, Soft PVC Film, EVA Film, PVC, Aluminum Foil. It makes us most experienced manufacturer, exporter & supplier of Slitter Rewinder Machine from last 25 years, India. We have been manufacturing, exporting and supplying Slitter Rewinder Machine for Cello Tape from last 25 years, India. Heavy duty Cello Tape Slitter Rewinder Machine with high quality equipment. Also, we design Slitter Rewinder Machine for Cello Tape per client’s requirements for different types of application in various industries. Slitter rewinder machines are designed for EVA Films with high quality and heavy duty equipments from last 25 years, India. EVA 1800 matte cast medical-grade EVA film with different types of Film Thickness (mm) 0.15, 0.19, 0.25, 0.33. We are a specialized manufacturer, exporter and supplier Slitter Rewinder Machines for PVC Films. Different types of films like, PVC Flexible Film, PVC Lamination Film, PVC Rigid Film, PVC Shrink Film, PVC Twist Film. 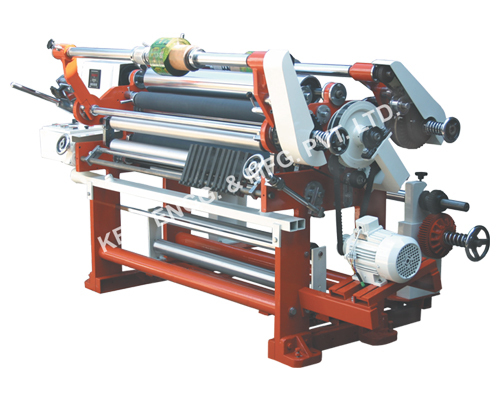 Krishna Engineering Works is a leading manufacturer and dedicatedly engaged in the business of offering a wide assortment of slitter rewinder machine for Inner Wrap Film. 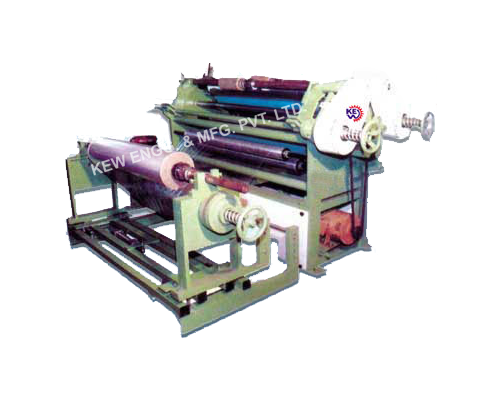 We have been manufacturing, exporting and supplying high quality Grade Film Slitter Rewinder Machine. All these types of films and adhesives are widely applauded by different clients for their excellent features such as high durability and high tensile strength. 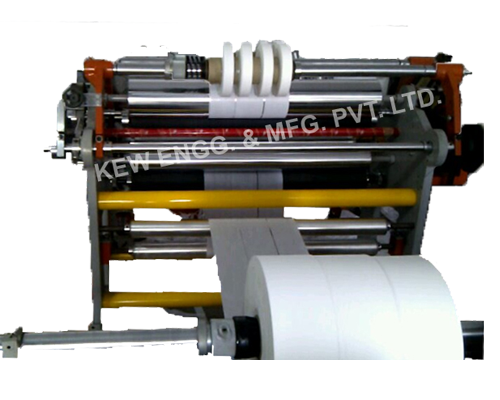 Slitting Rewinding Machine for various types of films like, Poly Films, Overwraps films are transparent non heat sealable, corona treated both side, for overwrap. One side is high glossy, high energy treated surface for printing, and other side is modified slip. We have been manufacturing, exporting and supplying Slitter Rewinder Machine for Matt Film. All our slitter rewinder machines are designed with high quality and heavy duty equipment. We ensure that the customer is getting the quality product for different applications and within the specified time frame. We have been manufacturing, exporting and supplying slitter rewinder machine of metallized polyester film. Also for different types of films like, Chemical Metallized Polyester Film, Metallized Polyester Film, Metalized Polyester Film, Synthetic Metallized Polyester Film, Corona Metalized Polyester Film. Our company is engaged in manufacturing, exporting, and supplying a wide range of Slitter Rewinder Machine of Metallized Film. Our slitter rewinder machines are developed and designed for Metallized films with high quality equipment, high grade raw material in compliance with industry laid norms. 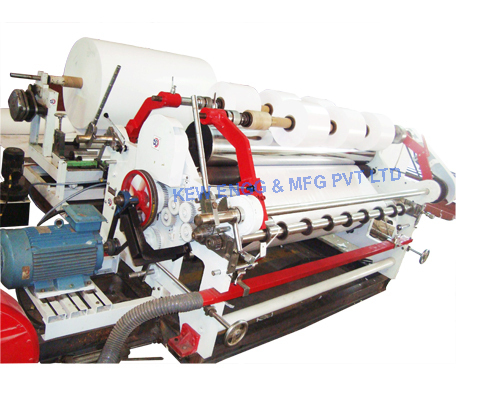 Krishna Engineering Works, a leading manufacturer, exporter, supplier of a wide gamut of Slitter Rewinder Machine for Textile Bags Film. We are in manufacturing process per client’s requirement with high grade raw material in compliance. We have been manufacturing Chemical Metallized Polyester Film Slitter Rewinder Machine from India. Chemical Metallized Polyester Film is mainly applied to the long-term storage of such articles as tea, milk powder, coffee, chips, wheat biscuit, vitellus pie, almond crisp, savory fillet. We have been manufacturing, exporting, and supplying High Barrier Metalized BOPP Film Slitter Rewinder Machine. Metallised Film for use as sealant layer to enhance moisture barrier of laminates in VFFS and HFFS applications. Film characteristics are maintained for six months from the date of manufacturing except for metallized layer surface tension. Krishna Engineering Works India, a leading manufacturer of slitter rewinder for Metallizable Sandwich Lamination Film. Metallised films is produced by the process of coating of Aluminium metal on the film’s surface under high vacuum Metallised films use vacuum sputtering techniques to coat a dielectric film with a metal composition. We have been manufacturing, exporting and supplying slitter rewinder machine for Deep Freeze Film. Film for Deep Freeze Packaging developed to maintain low temperature, our slitter features specially for deep freeze film. Silicon coated film comes with High strength & durability, optical clarity and good thermal dimensional stability. We manufacture high quality Slitter Rewinder for Silicon coatable film. 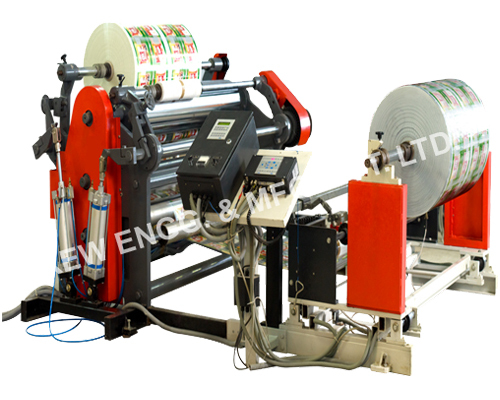 Under this array and features, we offer different types of Slitting Machine, Roll To Roll Slitting Machine, Slitter Rewinder and many more. Easy stackable film, applicable for Stacking and storage of bags in super market, easy palletising, ideal for food bags and many more. Our Slitter Rewinder Machine for easy stackable film comes standard with razor cutters and high quality roller configuration also blades per client’s requirements and applications. Audio tape grade with 11.5 thicknesses in microns also, It has excellent tensile strength, elongation properties & surface roughness properties. Our Audio tape grade slitter rewinder machine is either razor or shear with the ability to take cull or bleed cuts from the web. Release film is generally applicable for Fiber reinforced plastics and Glass reinforced plastics. Our Release film Slitter Rewinder Machine specially designed with the rewind tension system is able to convert and controlled by either the tension on the air shaft. Krishna Engineering Works, a leading manufacturer, exporter and supplier of Metallizing grade Slitter Rewinder Machine. Generally Metallizing grade is applicable in vacuum metallization & for further usage in flexible packaging as a barrier substrate. Yarn coated films applicable in Flexible packaging, improved shrinkage properties at elevated temperatures. 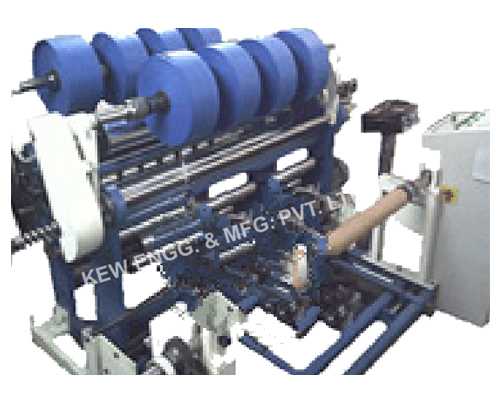 We are a leading manufacturer, exporter, and supplier of Yarn coated films for Specialized Applications Slitter Rewinder Machine. 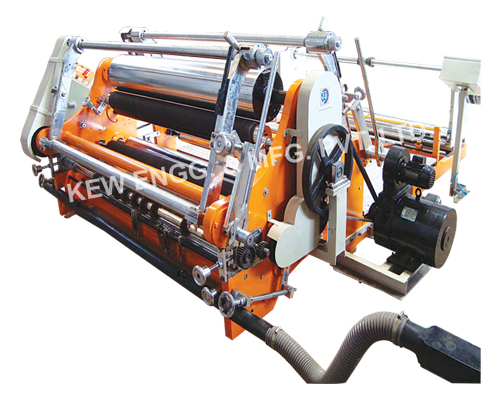 Krishna Engineering Works have been manufacturing Lidding Film Slitter Rewinder Machine. also, miscellaneous slitter rewinders for the film, foil and packaging material and many more. Lidding film slitter rewinder machine specially applicable in Dairy products. Hot Stamping Grade mostly applicable in ideal as a transfer foil to transfer the design either on paper, textiles or plastics. We have been manufacturing Hot Stamping Grade Slitter Rewinder Machine with high quality equipment. Slitter Rewinder Machine for Yarn Grade with features like, reliable performance, durable, sturdy construction. The offered Yarn Grade Slitter Rewinder Machines are for the purpose of winding Fabric, paper, foils, films and flexible laminate material, owing to its double arm and surface winding. Krishna Engineering Works, dealing on slitter rewinder machines for stationery electrical insulations from last 25 years, India. We are engaged in manufacturing, supplying and exporting a wide array of Roll To Roll Slitting Machines. 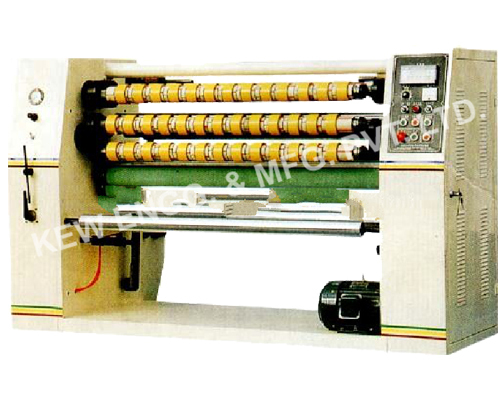 We have been manufacturing electrical grade slitter rewinder machine from last 25 years, India. Electrical Grade generally applicable on electrical insulation such as motor winding, cable overwraps, leatheroid lamination, electrical insulation tape. Our slitter rewinder machine specially designed for electrical grade. Coated Matt Film Slitter Rewinder Machine, all coated matt film applicable on Board lamination, thermal lamination, label & conversion applications and many more. Slitter is new compact type to save the working space. Document lamination, it has balance shrinkage. We have designed slitter rewinder machine for document lamination. It’s applicable for thermal lamination such as document lamination. Slitter rewinder machine with features like latest mechanical technology, hydraulic, pneumatic, electronic and computer control technology to assure converters of consistent. Coated films for conversion are low haze films with high clarity & transparency. Also, they are available in corona treated or untreated form. We have designed slitter rewinder machine especially for coated films with high quality equipment. Slitter rewinder machine for extra clean film. It is designed with new and high performance. Our overhead Slitter Rewinder for extra clear film combines new technology, features and design in heavy duty concept. Flexible packaging film slitter rewinder designed specially for flexible packaging film, different types of thickness in microns like, 10, 11, 12, 15, 19, 23, 36, 50. Our flexible packaging films slitter rewinder machine designed with high quality on leveling, high slitting accuracy, strong recoiling, delightful man-machine interface, easy and simple for user.